Grant Acquired: Safe Routes to Schools — Civil West Engineering Services, Inc. 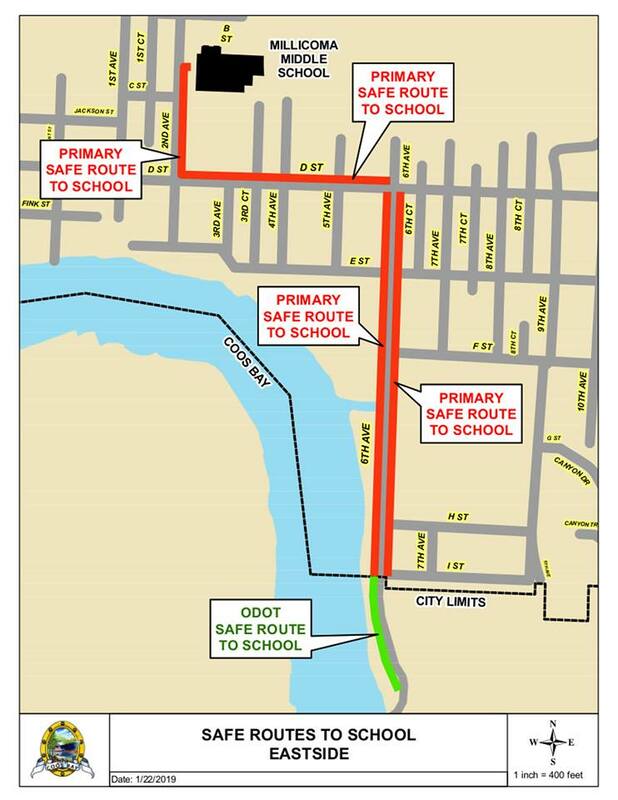 Recently, the City of Coos Bay successfully secured a $2 million grant for Eastside sidewalks through the Oregon Department of Transportation’s (ODOT) Safe Routes to School Program (SRTS) - the maximum amount one applicant can receive. Civil West helped by having a shovel-ready project and guided the City through the competitive grant process, including analysis by the Safe Routes to School Advisory Committee. The map at right shows the area to get new sidewalks, rapid flashing beacon crossing, access ramps, and bike lanes.